We woke up still married and in still love. We had plenty to eat and a roof over our heads. Kittens to pet and give treats. Life as we knew it did not end, or even change at all. There were no locusts at the door or frogs falling from the sky. The only thing of note that actually happened was that we woke up proud to be New Yorkers... and Italian. To send internet thanks to two Italian gentlemen from the Empire State that did the right thing and played key roles in not legalizing bigotry*... We are posting this Italian classic Spaghetti Carbonara. Yeah, we're looking at you, Governor Andrew Cuomo and State Senator Mark Grisanti **. 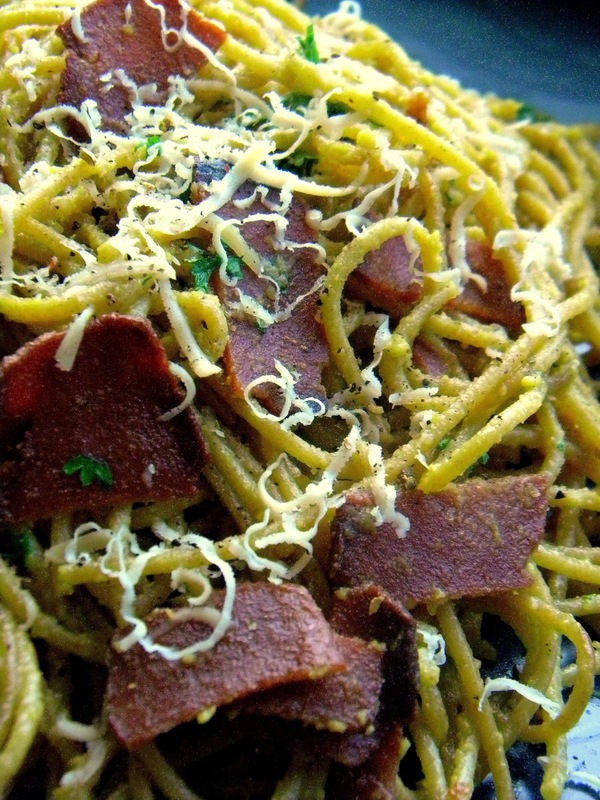 Spaghetti Carbonara is one of those dishes that many of heard of, but no one really knows where it came from. I mean, there are some that claim it is a dish passed down from the Romans. But I feel like I can be honest with you... they say that about anything awesome in Italy. There are many who think it has something to do The Carbonari, a 19th century secret society that played a key role in unification of Italy. But really the first documentation of it was found around WWII. While the US occupied Italy, the troops sometimes traded their powdered eggs and bacon with the people. Many returning troops fell in love with Spaghetti. They brought their passion for this pasta with them and Spaghetti Carbonara hit menus everywhere. OK la lezione di storia sopra! Mangiamo della pasta già! In a Dutch oven, cook Spaghetti as directed on the package. Then return to the Dutch oven. Don't rinse your pot because you need the little bit of starch left in there for your dish, but make sure the pasta is away from heat. The Dutch Oven will stay warm. Dice your Vegan Bacon into bite sized pieces. 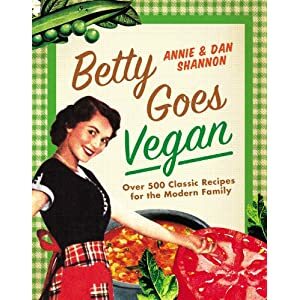 In your amato cast iron skillet, cook garlic and vegan bacon in 1 tablespoon of Olive Oil over a medium heat until Vegan Bacon is crispy. Then mix in Vegan Parmesan Cheese, Nutritional Yeast, Silken Tofu, Liquid Smoke, Sea Salt, Black Pepper, Sheese and the remaining 2 tablespoons of Olive Oil in the cast iron skillet and let simmer on a low heat for 1 minute. You're going to want to stir it constantly to mix the Silken Tofu in with the other ingredients and make sure it is a smooth consistency. I actually used a whisk to make sure it was completely blended, but that might have been overkill. Once it is smooth and beginning to slightly bubble, remove from heat. Put your Dutch Oven with Spaghetti in it back on a low heat. Add Vegan Bacon and Egg mixture to the Spaghetti in the Dutch Oven and toss to evenly coat the Spaghetti.You're going to cook and toss the Spaghetti and Bacon mixture for around 30 seconds to a minute. Then remove from heat. When you serve, sprinkle some extra shredded Sheese and Black Pepper over the top and channel your inner Sophia Loren. * I know a lot of you don't like it when we talk about politics on here and that we will lose followers today for even talking about this, but I guess you weren't that into us anyways if we can't be ourselves with you. ** And of course the countless others who helped this happen! You know I have no doubt that someday people will look back at this time and wonder what the frak was going on and what was wrong with people - the same way most of us think about about times before women had the right to vote, when black people were kept as slaves, and people from different races weren't able to get married. The sad thing is that none of those changes just happened... change came because there were activists out there doing what they could to change hearts and minds, and in today's economically driven society, consuming with a conscience. It's something to think about when you hear about something going on that you know is wrong. I like to always think of this idea that came from reading Kierkegaard in college: if you want to live in a good civilization, be a good citizen. To me, a good civilization respects and values all their citizens and protects their rights and promotes their pursuit of happiness equally. A good citizen works to make this good civilization possible whenever they can. Also I freaking hate bullies and that's what this whole anti-gay marriage junk reeks of to me. funny - I always refer to anti-gay marriage folks as bullies! This looks beyond fantastic, and love the inspiration! Let's hear for NY!